If you thought that desktop computers had fallen by the wayside at Apple, then think again, because Tim Cook has spoken out regarding his firm’s plans to do more with PCs in the ‘pro’ market. The comment is obviously a general one, but was meant to placate those who aren’t impressed with the lack of action in terms of a refreshed Mac Pro or indeed iMac. New models for these computers have been a long time coming, particularly the former (the last version of the Mac Pro was unleashed at the end of 2013, four years ago now). So it’s hardly surprising creative pro types are getting impatient. It’s also true that matters aren’t really helped by the MacBook Pro, which did get a refresh last autumn, but the big addition of the Touch Bar was seen as gimmicky by some folks. And furthermore, others weren’t impressed on the connectivity front, or the fact that you can no longer specify 32GB of system memory (which heavyweight users might need). With the new MacBook Pro, 16GB is the maximum memory configuration, apparently due to power issues – such is the price of making a thin and light device, and trying to fit a beefy enough battery in there. Apple will reportedly be doubling up the RAM (to 32GB) on these laptops and adding Kaby Lake processors with an overhaul later this year. The grapevine also insists that new iMacs are due at some point in 2017, perhaps sooner rather than later. 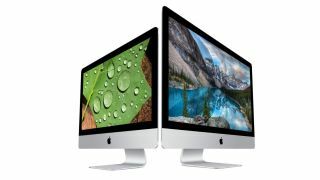 Cook was also questioned about the possibility of a touchscreen Mac, and restated Apple’s previous position that this isn’t something which is on the cards. So which are the best Mac computers to buy in 2017?